Today’s post is something a little different. I was recently contacted by Farfetch asking if I’d like to enter a blogger competition, the only condition of entry being that my post has to take inspiration from their summer 2016 blogger content pack. 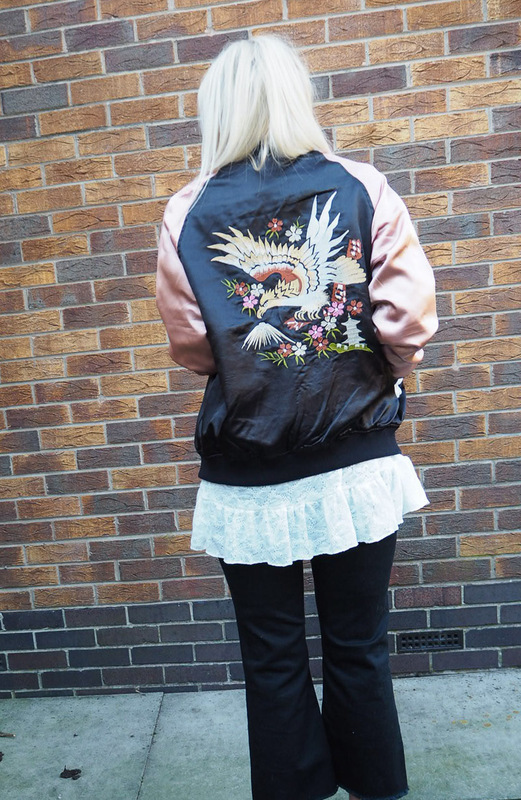 Firstly, I love Farfetch, and I decided I definitely wanted to take part, however not necessarily for the chance to win. Don’t get me wrong, of course I would be over the moon to win, however my main motivation for entering was more of a personal one. As a blogger (I hope I’m ok to officially call myself that now), I think it’s important to constantly keep learning and improving and bringing better content to my blog. I thought it would be quite an interesting challenge to actually look through the content pack and see how I interpreted it and what inspiration I took to translate into a blog post that all of you lovelies would enjoy reading. When looking through, the first thing that sparked my interest was a personal style profile of blogger Marie Hindkaer Wolthers from Blame it on Fashion. I always find it interesting to hear other people talk about and describe their own relationship with fashion and their personal style, and it’s something that always makes me think about my own. I immediately started thinking about this topic, and I thought it would be a great idea to share my own fashion story and journey into developing my personal style. When I first started blogging at the end of 2015, one of the first posts I did was about my love of fashion and how much it helped me during my health problems (you can read my original post here), but there was so much more I wanted to include and talk about, and this seems like the perfect opportunity to do so. It’s pretty obvious that I love fashion; why else would I have a style blog? But my relationship with fashion hasn’t always been an easy one. For as long as I can remember I always loved shopping and putting my little outfits together, taking style inspiration from whoever I admired and looked up to. However, also for as long as I can remember, I’ve had a lot of issues with my appearance and getting dressed used to be extremely difficult. I can’t tell you how many tantrums I would have as a child as I just couldn’t handle the way any of my clothes looked on me. I’ve always really struggled and been very self-conscious over my body and my looks. This got even worse while I was disabled as I ended up gaining a lot of weight and it worsened the depression I was already suffering from because I was so unwell. It was this and this alone that prevented me from starting blogging sooner. I had wanted to start one for such a long time but the thought of taking photos for the world to see was my biggest fear. Fortunately I eventually built up the courage to do so, and my confidence has grown massively as a result of having this blog and all of the lovely comments you guys are kind enough to leave me, but that being said getting dressed still can be hard. There are so many pieces of clothing I love and trends I want to join in on, but I’ve learnt that I just can’t wear whatever I want. Some things I’m just not confident enough to wear until I’ve finished losing the weight I gained, sometimes they don’t fit right with my proportions, and now and then they just don’t work for my style. The most important thing I’ve learnt is that I have to know my body, know what works for me, and use that to make trends and styles work better for me so I can still enjoy fashion in its entirety. I now know that certain silhouettes are more flattering on my body shape and what styles and fits will make me more confident, and I honestly believe that being confident in your outfit is vital to personal style and owning your look. The only way to learn these things is to sometimes challenge yourself and step outside of your comfort zone. To try things on you wouldn’t usually wear to see if perhaps they may be better for you than your usual go to. All of this knowledge is key for me personally. As I am sure has become very apparent in my outfit posts, I live in dresses and skirts. Pants and jeans are a rarity for me, and there is a simple reason for that: they don’t fit. I have a really hard time finding pants or jeans that fit me right because I have quite wide hips compared to the rest of my body. And on those few occasions that they do fit, they’re too unflattering for me to feel comfortable. This is something I discovered as a teenager at about 16 years old, and it was then I pushed myself outside of my fashion boundaries and started trying out skirts and dresses for everyday wear. It took some getting used to, but it quickly became clear to me that they were much more flattering and I loved wearing a more feminine outfit. I never looked back, and my personal style started to really develop at that point. Throughout college and then further more at university I was able to experiment and get a clear sense of what I loved. I played more with bold colours and prints, different textures and fabrics, and various styling choices. So, I’m going to try and describe my personal style and fire off some of my favourite things- First up, my style is definitely very girly and feminine. I love pink, full skirts, florals, sequins and embellishments, velvet, feathers, faux fur, and all of the other pretty things you could possibly think of. I have an extremely deep love for shoes, and an addiction to boots in particular. You will most likely never see my happier than when I buy new shoes, which is quite sad but true. A choker necklace is a must have for me, I rarely wear rings, and I like to contrast different styles, colours and prints. I always look to do something a little unexpected when putting my outfit together, and like to add a nice twist or a bit of an edge. I don’t own a pair of trainers, there’s only one pair of jeans or pants in my wardrobe at the moment, and casual sportswear is not my thing at all. Autumn Winter is my absolute favourite season for fashion. I love to layer and I have a weakness for lots of coats and jackets, plus for the colder season there’s even more boots around for me to lust after. 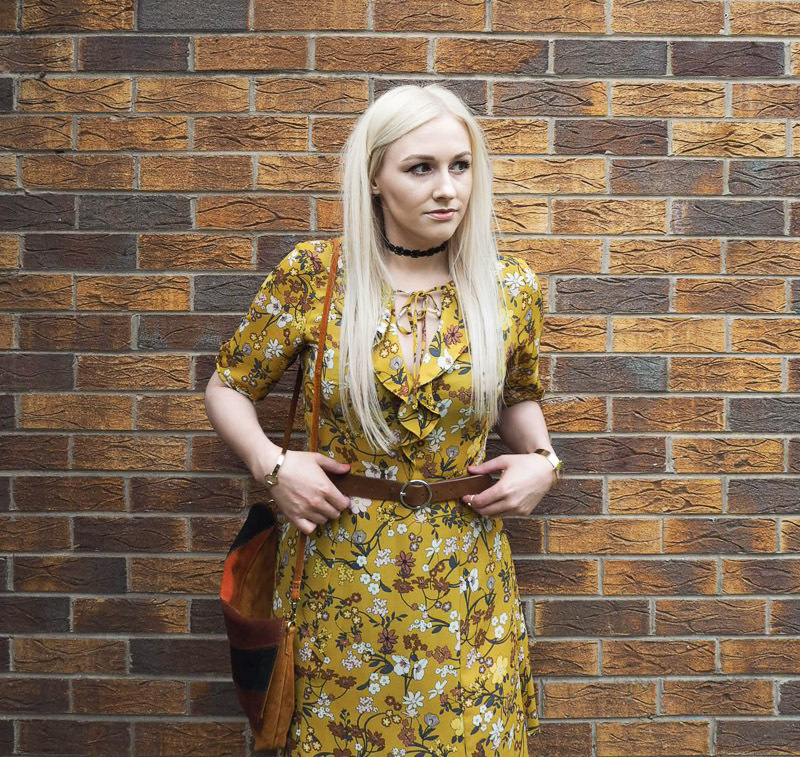 I like to take style inspiration from various decades, with the 60s, 70s and 90s being my favourites. I love street style just as much as seeing a fashion show and take equal amounts of inspiration from both. I love the UK high street with Asos and Topshop being my meccas. And I practically live in black tights. When it comes to shopping, I usually have an idea of what I’m looking for. If that isn’t the case I just like to keep my eyes open for anything that speaks to me and catches my eye. I then try to think how I’d style it and what do I currently have that I would wear it with. And finally I consider the price. How much does it cost? Can I afford it? Is it a justifiable price for me to pay based on how much wear I think I’ll get out of it? Of course there are exceptions such as if there’s a special occasion or event coming up as I will pay more whilst knowing it won’t be worn as much, but that’s my general way of thinking when shopping. I mentioned in my last outfit post that I don’t like to spend much on summer fashion; for the sole reason that here in the UK we just don’t really get a summer. So I’ll add a few key pieces and then look for much more affordable things. I instead save my money for autumn when I have a tendency to want absolutely everything and go a little crazy. But in my defence I know those pieces will get much more wear and be more versatile for me, the majority of the time at least, making it more justifiable in my fashion obsessed mind. Styling my outfits is my favourite part. It’s what I’m passionate about and absolutely love to do. My starting point could be anything. It could be a piece of clothing, it could be my shoes, perhaps I need to wear something quite specific for where I’m going, anything. If I’ve recently bought something new I usually will be dying to wear it so will plan my outfit around that new purchase. Being a shoe obsessee, I always love to think of my footwear choice very early on in the styling process. And after that I will think about other accessories such as my bag and jewellery. I tend to keep my jewellery quite simple, with some kind of choker and perhaps a bangle or two. I usually prefer to keep the focus on just one or two pieces, so will often keep the rest of my look subtler. I do follow trends, however at the end of the day I know what I like and what I don’t. I will buy the things I see and fall head over heels in love with, and then it’s just a matter of incorporating them with the rest of my wardrobe. I’ll often pair things together that other people wouldn’t or that some might think don’t work, but all that matters to me is if I like it. If I love an outfit I’m going to wear it, and that love will give me the confidence to own it and not care what others think. Ultimately I think that’s what personal style is. It’s finding what works for you and what makes you happy, regardless of anything else. Fashion is my greatest passion and I can’t effectively put into words how much I love it and how much it means to me. Once I started discovering my own style, my confidence grew, and it enabled me to become myself. It’s how I express myself, my identity and how I’m feeling. And I think that is a truly incredible thing. I know this has been quite a long post, but I do hope you’ve found it interesting or helpful in some way. I always enjoy reading about other people’s personal style and their approach to shopping and dressing, so hopefully I’ve done a somewhat decent job of giving you a better idea into my style and processes. I’d love to hear what you think of personal style and if it’s as important to you as it is to me? Katie, this was an absolutely amazing and original read from the very beginning till right at the end! I enjoyed reading your take on fashion and all about your personal style as I absolutely love all your cute and fashionable outfits you pair. Please don't worry too much over your body as you look downright smashing, and there's no need to lose more in my eyes. You're overall such a beautiful lady, keep the amazing work up lovely! (PS I got the email as well so expect to see something similar on the blog soon hehe). Have a lovely evening! This was a really interesting read, I loved reading all about your fashion and personal style. I feel really lucky to have met you as I already feel I know so much about you and your fashion. You're a gorgeous girl and always look so beautiful in everything you wear and you inspired my to start my blog which I am so thankful for!.. loved this post. This is such a lovely post, Katie. I'm glad I came across your blog a while back as you are such a beautiful lady with a great sense of style. I love how you mix and match different styles and look forward to seeing more looks. 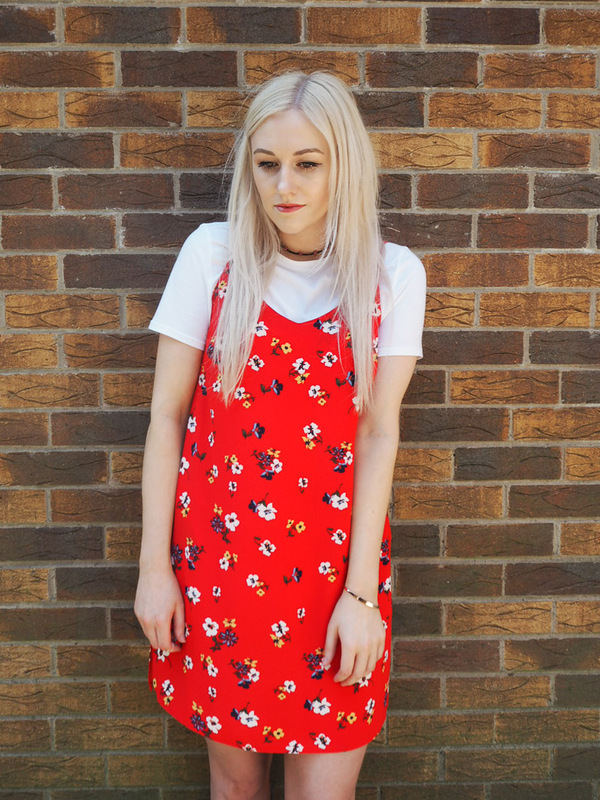 the mustard topshop dress is just so gorge! This is a really lovely post. Often it is hard to describe your own style because we take inspiration from so many things - I loved reading this post, it was so heart felt and you can tell that fashion is your biggest passion! I really hope you win darling! p.s I love your snake skin boots! I loved reading about your style journey...it's always really inspiring to get an insight into another's personal style. I absolutely agree with so many of your favourites...I'm a dress girl myself. And I love that you don't own a single pair of trainers :) Hope you have a lovely week! I love planning new outfits. I agree, I usually start with one item of new clothing. Mainly shoes or a bag. They come first for me.